Who, in the name of God, is getting away with murder? The Name of the Rose (original title, Der Name der Rose) is a German-French-Italian 1986 film, directed by Jean-Jacques Annaud, based on the book of the same name by Umberto Eco. 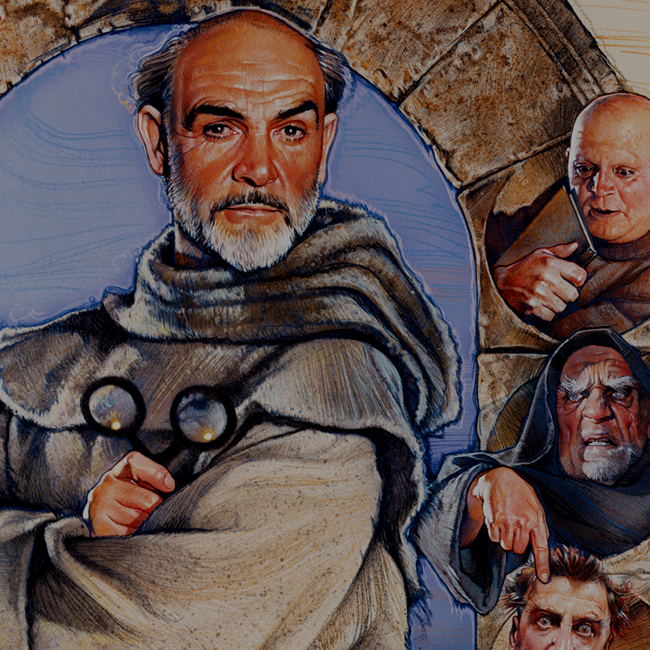 Sean Connery is the Franciscan friar William of Baskerville and Christian Slater is his apprentice Adso of Melk, who are called upon to solve a deadly mystery in a Medieval abbey. Signed and dated bottom left corner "drew '86"